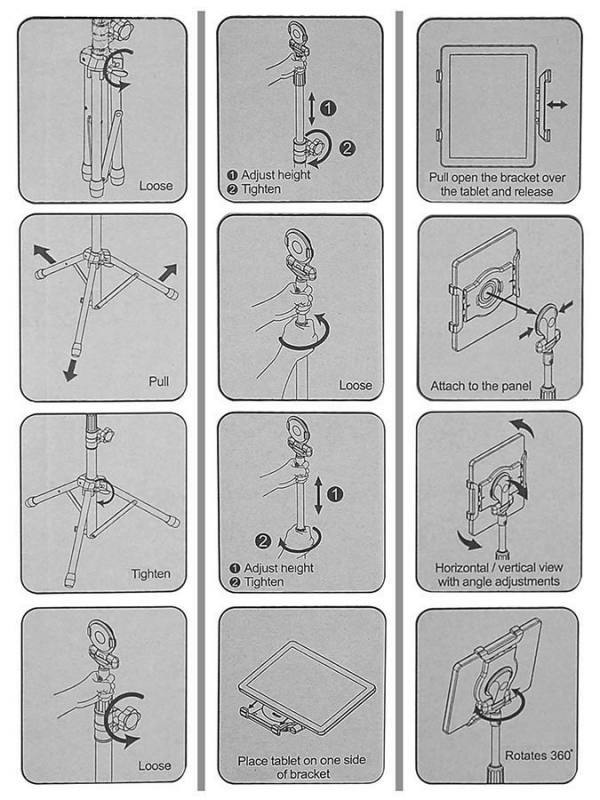 Universal tablet stand, height adjustable 68-114cm, with 360 ° spring-loaded. clamping system. 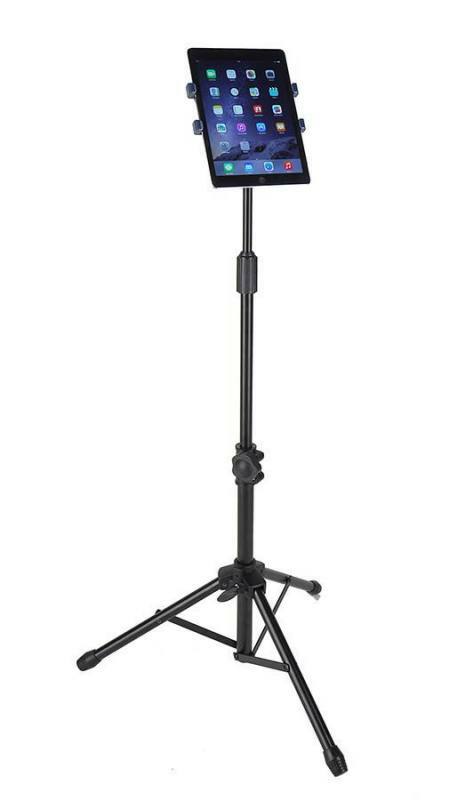 The Boston IP-01 is a very convenient, simple and universal tablet holder (7-10.1 "), with a sturdy tripod and a black nylon carrying case. Music on old-fashioned paper is slowly but surely disappearing. Musicians of all stripes increasingly opt for example, an iPad or another tablet to read from during their performances and/ or rehearsals. And why not? Not bothered by the wind, moisture or the dark and optically they can also get a lot from it. 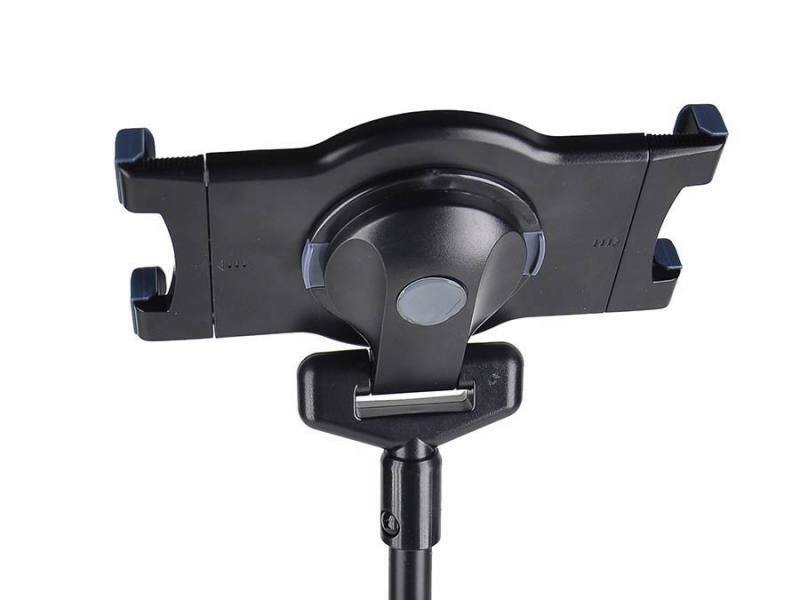 The tablet's easy clamping and suspension system makes it much easier to place in the holder. 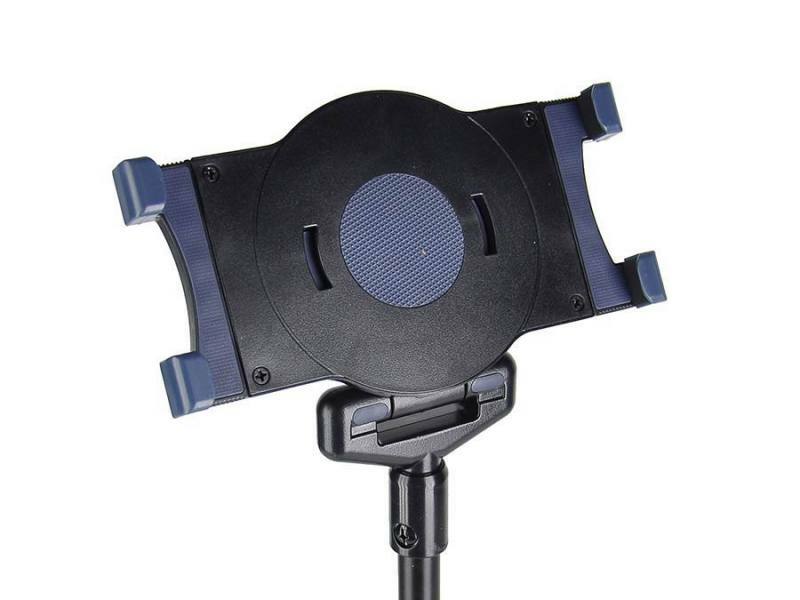 The stand is adjustable in height and so is the screen both horizontally and vertically to be able to put down and adjust the viewing angle as desired. In short, you will also receive a nylon bag to protect all aspects of the IP-01. The carrying case has a shoulder strap that is functional and something you can also wear over your shoulder. For people who have no TV in the bedroom and instead just a tablet, the Boston IP-01 can also be easily set as a height-adjustable television. Just an idea .